Still used today to saddle break the stubborn bronc. Most cases this is a pure Rodeo sport. If you're looking for a great way to brighten up the dinner table at your ranch or country estate. 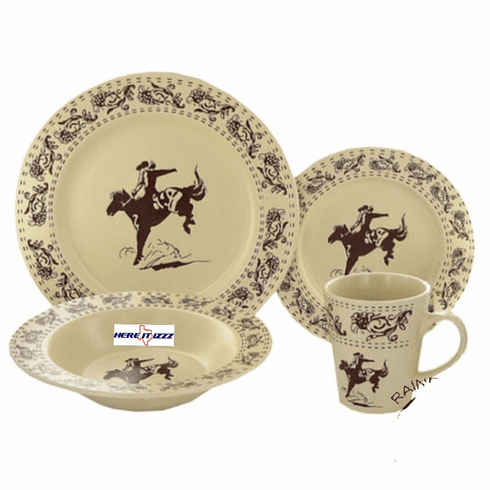 This complete 16 piece of the Bucking Bronc dinnerware set guests will be amazed at the Quality of your Western stoneware.